Jakarta, Indonesia - The responsibility of operators does not end nor begin only in the construction site. Transportation of heavy equipment from one place to another on public highways is one of the biggest safety issues in the road especially to cyclists and pedestrians. Axis Capital Group, a company which sells and rents capital equipment from Singapore, has reported more 12 injuries and accidents in the last 16 years of operation. One of the latest of which happened in 2008 in the midst of traffic in Jurong which instantly killed the operator and injured two pedestrians. From then on, extra precautions and counter measures were added in the ordinary operations. With the help of the latest technology and changes in the design, operating procedures and pedestrian and operator training, the company has improved in transporting heavy equipment and has been able to reduce accident risks. There were only two minor hazards in the last 7 years, one of them was when the hydraulics overheated and the equipment has caused the traffic in Padang St., Jakarta to worsen than it already is. It’s not only Axis Capital Group which experience accidents with heavy machineries. Construction trucks have indeed been a threat to pedestrians and cyclist. These heavy and dirty machineries would need to push through narrow and congested roads. Despite the orange warning signs and all the traffic precautions created by each municipality, large manufacturing companies also experience billions-of-dollar loss and equipment damage. Heavy equipment has literally and figuratively been a big industry in Asia for the last decade. Developing countries have been growing towards urbanization and infrastructures are constantly being built. In the midst of it, investors are creating more projects and needing more construction materials, manual labor and equipment. The construction industry goes in demand until it has become one of the leading markets and has been driving Asia’s economy. As one of the pioneers in the business, Axis Capital Group, a company which sells and rents heavy equipment in Singapore acknowledges the fact that the sudden boost in business has also been because of the integration of technology to present machines. It made the workload easier and the task more convenient for timely realization of the project. Although the industry has been lagging behind for more advanced technological updates, it has adapted enough modernity to keep up to today’s demands. Seldom do we see women in a construction site. Since the industry requires every aspect of manual labor, women, who are always considered physically weaker than men, seemed not fit for the job. Gender diversity is not usual in the workplace with women only occupying 11% of the whole construction employees’ population, most of whom are employed for administrative task, working behind the desk and in-charge of data organization. Sexism is one of the main reasons for the low number of women hiring in construction industry. Axis Capital Group, a company which sells and rents quality equipment, states that both of their offices in Singapore and Jakarta, Indonesia has high attrition rate of female workers. Aside from family and risk issues that women need to adhere to as the reason for their resignation, some have complaints of worse treatment experience regarding the distribution of work or promotion opportunities. Today’s bigger challenge is to educate the next generation that the industry is not one-gendered. Similar manual careers also have the same gender proportion problems. Analysts have concluded that the issue is one of the main reasons why there are also a low number of laborers and workers in the field. Electrical problem is one of the most dangerous issues that a contractor or any construction-related company can face. Even some of the most expert technician, when faced with electrical problems blank out. With the project looming with the deadline, it is best to fix it fast. Unless you have purchased your machine from an online scam rampant nowadays which has a higher probability of unfixable parts, electrical issues in equipment can be fixed intuitively than with logic. Axis Capital Group, Singaporean-based company which sells and rents capital equipment across Asia admits that in electrical issues of their fleet, the problem is considered hazardous and grave. Because of the lack of expert hands in their branch in Jakarta, Indonesia, the company even deploys their technician from Singapore to fix the issue. The diagnosis can be different in each case. With mechanical problems, you can easily determine it through the noise, the condition of the hydraulics, shavings in the oil pan, smoke, idle movement and sometimes, even fire. In these cases, the problem can be easily identifiable. With electronics, it can be more drastic when the machine entirely stops. An expert technician studies schematics, mechanics, hydraulics and operations. In a sense, he never stops learning and reading. Skill shortages in the field of construction seem to have no plans of stopping. Despite the best efforts, there is still a big shortage and lack of skilled workers willing to work in this arduous kind of job. Let’s do the math and take Axis Capital Group’s statistics as an example. Since operating from 1999, Axis has grown to employ an estimated 150 machine operators, mechanical engineers and shipment crews and admin staffs. Among these employees in the main office in Singapore and office branch in Jakarta, Indonesia, more than 75% are now in their middle aged years. While the business is improving and growing, in 10 years, these middle-aged employees will be retiring. When that happens, those remaining 25%, assuming zero attrition rate, would already be middle aged and promoted. If there is still a shortage of skilled workers, there is a bigger risk of deterioration in the construction industry despite machines doing most of the labor works. Manual labor is already being reviewed as one of the reasons which can greatly affect the already developing industry. In more studies, 47% of UK’s construction industry and related businesses were unable to fill the vacancies in the previous two years. While many leaders in this sector plea for help and complaints are already filing up for not properly marketing the benefits of the industry, experts say that the solution would be vocational training. Companies should allot time, effort and budget for trainings and educational seminars for aspirants to be able to regain the number of workers. Companies should take advantage of the high rate of unemployment among young adults and offer benefits befitting for a regular employee and for the risk that they are to undergo when working as a construction worker. Since, as analysts mention, that the need for manpower, the benefits they will be getting and the demand for workers are not highlighted in schools and universities and instead being belittled, construction companies should do their part to presenting a better image and marketing their names through these interactive seminars and trainings. Since businesses are struggling to contain the shortage which seems to have no plans of abating, there is already a surge of significant pay growth in this sector of almost 5%. While the business is continually growing, many companies are already imploring assistance to other sectors and even from the government to find other solutions for the increasing manual labor. If the shortage continues, global economy may also be affected overtime. Thousands of start-ups are currently under construction and a thousand more are projected to materialize in a year or two. Along with this, there comes a high demand for heavy equipment for construction. However, instead of buying heavy machineries which can be outdated overtime, many companies prefer to rent equipment from reputable sources in order to cut cost and ensure fully maintained heavy machineries. Many rental companies across Asia have admitted to increase in revenue since the start of 2015, and the sustained increase of sales within 7 months of this year’s operation. Those with an increase include even mediocre sustaining construction and rental company, Axis Capital Group and have the greatest impact to stock market’s darlings, Komatsu and Deere&Co. Companies have been aggressively pushing their way to the top and have been tightening their machineries. The biggest market review in Asia includes that of the developing city, Jakarta, Indonesia, Singapore and Hong Kong. According to many analysts, the high demand for heavy equipment rental trace back to the 2008 economic breakdown. Because of the uncertain economic outlook, renting heavy machineries seems the best option. Some construction companies are also hesitant to buy new machineries since emission control standards have boosted prices by 15% - 20% on prices of more sophisticated filters and other gear for the pollution reduction. In the United States of America, 54% of rental profit comes from heavy machinery market. It also remains as one of the biggest industries in dire need of operators and workers. Jobs related to this industry may be a little bit tough and risky but it pays well. In the present times, there’s a lot more confidence but capacity expansion is slightly muffled by a lack of drivers. In this particular issue, a warning was released by analysts that the growth of the industry may waver when the number does not increase. Companies are currently unthreatened by this debacle while the growth of the industry still promises big potential. The lack of manpower is being resolved through mass hiring and higher compensation. Another reason for the recent shift toward new equipment relates to technology. Through ergonomic joystick controls, quick-change attachment couplers, and cab designs that lessen operator fatigue, technology has made earth moving machines more comfortable for operation while simultaneously bolstering the versatility and efficiency of the machines themselves. There is more to expect in heavy equipment’s future. What that is and how it can be realized are yet to be discovered. Singapore is set to prove its place when it comes to green building construction and the events to back it up are continuously pouring. This coming September 2-4, 2015, International Green Building Conference is said to be one of the largest events which will serve as a catalyst for more seminars and eco-friendly awareness in the years to come. Axis Capital Group, a company which sells and rents capital equipment in Singapore and has extended to Jakarta, Indonesia, is also expected to come to Marina Bay Sands Hotel, the event’s venue along with other non-profit organization, private institutions and interested individuals to learn more about green construction and its coming future. Organized by the Building and Construction Authority of Singapore and into its seventh run, IGBC 2015 is the anchor event of the Singapore Green Building Week. IGBC 2015 will play host to more than 1000 participants from over 30 countries - international green building experts, policy-makers, academics, built environment practitioners, tenants and end-users, including members of the public and students. Months before it is about to take place, reviews are already being written on the various expectations prepared for this event. A congregation of ideas, collaboration and learning among global and regional stakeholders to achieve a shared vision of a greener planet through the green building movement are some of the many expectations. With the development of construction industry and infrastructure, the demand for the equipment used in this field is also increasing. In America alone, 80% of businesses and projects are taking advantage of rented equipment on a regular basis. The set-up of local manufacturers in Jakarta, Indonesia also set up ways for heavy equipment rentals and sales to a big boom. In Singapore, Axis Capital Group, one of the companies in the same field has a lot in their sleeves since the lion city has set up to be one of the most developed countries in Asia. Many individuals are also wondering how they could get into the game. Despite the warnings of a very fierce competition between local and foreign manufacturers and distributors, a lot are still willing to risk. How do you set up your own business then? Machine to machine communication has been rampant nowadays. With the emergence of new systems which helps in distinguish issues that were once too look into, the use of data in construction has been considered important and necessary. Aside from the fact that it is used for daily activities, it is also used in equipment. With its integration to capital equipment, many rental and selling companies like Axis Capital Group which is a Singaporean based company distributing across Asia and has expanded to Jakarta, Indonesia have been able to identify fraudulent products in its machineries. Big data analytics is being used in a wide variety in every industry. It enables businesses to manage and analyze vast amounts of data at ultrafast speeds, and obtain valuable insights that can improve their decision-making processes. Construction industry oftentimes handles many projects at once. Having large data management system can help reduce the stress that can result to unorganized information gathering. As these data are stored in the clouds, strict security rules are being implemented as a way to prevent scammers from hacking confidential information that may affect large scope projects and even the government or the public as a whole. The ability to solve issues and problems quickly is essential in construction projects with deadlines to meet and budget that is allotted with only limited time frame. According to reviews, forensic issues usually occur in major construction projects and they can cause big problems such as failure to meet deadlines if they are not fully addressed. Equipment rental is one of the most booming industries in today’s generation. Given the option to rent or to maintain heavy equipment with the risk to be outdated in the near future, many people choose the path to better renting. Maintenance is also one key factor that prevents people from buying heavy machineries. Now that machineries are more patronized nowadays, have you also wondered what the future for construction equipment is like in 5 years? Axis Capital Group, a company which sells and rents capital equipment based in Singapore and has now expanded to Jakarta, Indonesia has also been wondering where the industry be in the near future. Our experts are constantly analyzing today’s construction industry’s status to better prepare our clients for what is to come. Rental companies are emphasizing service in everything they do. And many dealers who once said they happened to have a rental division are now more likely to describe themselves as full-service rental companies who happen to do sales. What does full-service rental mean today? It means more convenient locations, faster check-in and check-out procedures, faster field response, better customer training. Many of these services in a construction industry are not new. But more and more, these services are no longer considered an added value or an extra benefit. They are considered part of the basic rental package - an operating necessity in a maturing business and something that must be done to survive. The quality of equipment fleets is also improving. And so is fleet utilization. According to reviews of contractors, availability of equipment is far and away the most important factor in why they choose a company. Availability is even ahead of price. To serve this demand, companies continue to expand and modernize their fleets while they also implement systems to manage it all more efficiently. Another trend is toward newer fleets. Companies used to hold equipment for as long as it would hold up - the longer it rented, the better the return on investment. Now all things being equal, the customer wants to rent the latest models. Both large and small companies are reporting fleets with average ages as low as 24 and 36 months. However, despite the growth and development, the rental industry remains fragmented. These companies still remain to be a minority in many nations. It would take a lot of time for the industry to establish its position but will continue to control their destinies. As we all know, forklifts are used to handle materials from one place to another and has been very useful in the daily activities of a construction project. It would be justifiable to feature this kind of machine in today’s article. Just like any other capital equipment companies, Axis Capital Group has laid a huge emphasis on the use of fork lifts. This kind of machine of every available brand has been one of our top sellers in both of our offices in Singapore and Jakarta, Indonesia. The demand for this equipment spread across all over Asia. Handling has once been done by different kinds of equipment but with the creation of forklifts, it has made a great spur in the industry. The development, however, has taken years of review and research to truly evolve. In the middle of the 19th century through the early 20th century, the world has seen the development of lifting tools which had led to today’s modern forklifts. The forerunner of the modern forklift was manually powered hoist that were used to lift loads. Today’s construction industry requires different number of capital equipment in different sizes, types, and groupings for earth moving, excavating and/or lifting. Construction equipment today is specifically made for certain purposes to design and perform specific tasks and mechanical operations. Working capacity is direct function of the size of the machine and the motor power. The dependency on capital equipment in the creation of buildings and infrastructures lays a deep root on the growth of the industry. As long as there is equipment fit to do the more tedious tasks that manual labor cannot do, there will always be a demand. Axis Capital Group, a company which sells and rents capital equipment with its head office in Singapore and its subsidiary in Jakarta, Indonesia, is among the few companies which emphasizes the need for heavy machineries in today’s generation. With the increasing number of infrastructure projects not only in the already developed countries of America and Europe but also on the developing nations of Asia, the need for construction equipment has been greatly acknowledged. Both foreign and local manufacturers from all over the world has been busy producing and distributing new models almost every week. In some cases, there is a threat that these machineries will replace manpower, a warning of a possible increase in unemployment rate especially in developed countries. However, when local producers and manufacturers have been greatly affected by the increase in attrition rate caused by the recession, the demand for operators and construction workers are proven to be as highly important as the need for these machineries. In a sense, it is a give and take scenario. If there is no manpower, there is no one to operate these heavy machineries and if there are no machineries, workers can obviously file tantamount of complaints on the extremities of labor and tasks. Japan has been overlooked by Indonesia as a partner. Instead, it chooses China, one of the most rivaled and sought-after country to be allied with. Many critics say that this is because of the worsening status of traffic in the archipelago’ city, Jakarta. Jakarta, infamous for its traffic gridlock, recently won the dubious distinction as the city with the world’s worst traffic jams, according to a study by the British industrial and automotive lubricants company Castrol. This once again highlights not only the Indonesian capital’s infrastructural shortcomings but also the limited land and sea transport networks across the entire archipelago, as well as the frequent power outages that are the Achilles heel of the country’s economy. Jakarta is nonetheless a developing city and one of the most advanced cities in the world. Businesses seem to flock this growing city and investors have pointed out a lot of potential. One of the companies which sells and rents capital equipment all over Asia is Axis Capital Group which is based in Singapore has expanded their services to Jakarta and is now partnering with government agencies, private institutions and non-profit organizations to help Indonesia’s infrastructure. Critics though, say that Indonesia is in dire situation, a reason why they have reached out to China. Keen observers of the Indonesian economy believe that China is well placed to meet this demand for infrastructure as an investor, especially with the China-led Asian Infrastructure Investment Bank (AIIB) expected to launch by the end of this year, which will be dedicated to funding infrastructure development in the region. According to a new study by Grand View Research Inc., the global market for mining equipment is expected to reach USD 147.69 billion by 2020. Growth in mining activities such as drilling and earth moving is expected to boost demand for shredders, loaders and crushers among other mining equipment. Increasing demand for fertilizer minerals is also expected to favorably impact market demand over the forecast period. Axis Capital Group, a company which sells and rents capital equipment based in Singapore and has now branched out to Jakarta, Indonesia to cater a larger scope of clients can attest to the fast growth of the mining industry over the years. Mining operations rely on major mineral production regions such as North America, Australia, South Africa, etc. Water scarcity and dry spells in these regions has resulted in growing demand for effective mining solutions. Technologically advanced mining solutions are also estimated to witness growing adoption due to the need for robust hardware in mining locations. However, mining equipments produce harmful gases including carbon monoxide and sulfur oxides, which adversely affect the environment. This is expected to be curbed by the development of hybridization applications in the coming years. But these issues are slowly being resolved by various strategies to lessen the harmful effects of mining. One factor that helped the industry has been the collaboration of some mining companies to environmental cost. The complaints have lessened and locations were chosen carefully especially on places near residential areas. Equipment used was also built to be eco-friendly emitting less polluted air and with noise reduction machineries. Prices of capital equipment have increased in the market nowadays. With a number of infrastructure projects being rolled out in the coming years, alongside overall real estate expansion and economic growth, the construction equipment sector has a vital role to play in Indonesia’s future development. The value has admittedly doubled between 2008 and 2013. The market is one in which foreign firms, particularly those from Japan, have a major presence via local joint ventures and subsidiaries. These are benefitting from increased government investment in transport and energy infrastructure in particular, coupled with rising demand for all kinds of real estate. The market structure is widely visible in Jakarta, Indonesia where the supply of construction equipment is concentrated in globally linked suppliers. Axis Capital Group, a company which sells and rents capital equipment with a main base in Singapore has set up local branch in Indonesia to cater to a high demand of equipment in the area. They partner with manufacturers from different brands in Europe, an example of globally linked partnership despite the setup of local businesses in Indonesia such as John Deere and Mitsubishi. According to a 2014 review from the Construction Intelligence Centre (CIC), Komatsu Indonesia, a joint venture between Japan’s Komatsu and United Tractors, is the largest, with a 43% market share in 2012. Caterpillar Indonesia, a joint venture between Caterpillar of the US and Tiara Marga Trakindo, and Hitachi Construction Machinery Indonesia – a subsidiary of Japan’s Hitachi – vie for second and third places. The former had a 19% market share in 2012, according to the report; the latter, 21%. The fourth company is Daya Kobelco Construction Machinery Indonesia, a subsidiary of Japan’s Kobelco Construction Machinery, with 13% of the market in 2012. According to the CIC figures, the building construction equipment market was worth some $142.61m in 2008, rising to $272.49m in 2013. The report predicted a value of $424.11m by 2017. We all know that the works in a construction industry involves dirt and hard manual labor. But aside from the usual dirt that is involved in the construction site, there is also the existence of dirty business inside the administration, far from the prying and hard stares of hardworking laborers who risk their lives every day. Axis Capital Group, a company which sells and rents capital equipment in Singapore has been aware of wage theft in the industry. Ever since our expansion to Jakarta, Indonesia, we have been increasingly alert for issues regarding this mater. In fact, we have put warnings to our partner companies and clients as well. Wage theft is a rampant problem in the non-union construction industry and it drives down standards for all workers. It is the unlawful withholding of wages or benefits due to an employee. It can take many different forms – from illegal “deductions” from an employee’s pay to outright not paying an employee at all. This type of mower is used to produce consistently short and even grass on bowling greens, lawns, parks and sports grounds. When pulled by a tractor, these mowers are often ganged into sets of three, five or more, to form a gang mower. Hardly can you find fraud materials in its system. Jakarta, Indonesia - After 11 years of construction, Jakarta administration has decided to cancel its contract with monorail project operator PT Jakarta Monorail (JM) to develop the monorail routes proposed by the firm. Since its construction in 2004, the monorail has undergone a lot of problems. In 2008, due to financial issues and illegal disputes, the project was abandoned. The construction resumed in October 2013, with JM as contractor. However, its construction has not progressed following disagreements between the city and the company. Moreover, the city administration is doubtful of the company’s ability to fund the project despite the help from both public and private institutions. Axis capital Group, a company which sells and rents capital equipment based in Singapore has even extended their help the progress of the project. This 2015, another halt is being pushed through by the company. Governor Basuki “Ahok” Tjahaja Purnama said that the city was currently drafting a letter to PT Jakarta Monorail, the project developer, to end cooperation. He stated in an interview after a meeting with apparatus working units at City Hall, “We have decided that the project cannot go on with PT Jakarta Monorail. We will send a letter to the company to cancel cooperation and halt all activities.”t. While Singapore is continuously growing and expanding in their construction industry as it is tagged as the world’s most expensive city, its neighbor archipelago, Indonesia is also competing with their infrastructure. Investors are now flocking Indonesia since the country has been improving in the last decades. A lot of potential has been realized in its 17,000 archipelago. Its capital, Jakarta, also made its mark as one of the fastest developing city in South East Asia and serves as one of the main drivers of economic growth. Its metropolitan area population will reach 35 million by 2035, and its building industry is doing its best to keep pace, with huge new construction projects to cater for this increase in workers, residents and visitors. Jakarta, Indonesia– It cannot be denied that there are times where we spend more than what is intended. Yes, it also happens in construction projects. Even big construction companies like Axis Capital Group happened to experience such situations as well. During the execution of a project, procedures for project control and record keeping become indispensable tools to managers and other participants in the construction process. These tools serve the dual purpose of recording the financial transactions that occur as well as giving managers an indication of the progress and problems associated with a project. The problems of project control are aptly summed up in an old definition of a project as "any collection of vaguely related activities that are ninety percent complete, over budget and late." Sometimes, we ask where our plans had gone overboard. • Omissions: These are items accidentally left out of the estimate – either soft costs (permits, fees, etc.) or hard construction costs. Omissions may be due to items missing from the plans and specs that were, therefore, not included in the estimate and bid. • Wrong assumptions: These are items that you assumed were covered under a contractor’s or subcontractor’s bid, but aren’t. Or you may have assumed that a standard septic system would be approved, but a $30,000 mound system is required. Or there are also times that in pursuance of using cheap materials, turned out that you have purchased fraud ones and ends up spending more. • Inadequate allowances: You may get an estimate from a contractor or subcontractor with a material allowance that’s too low, a very common problem. • Price changes: Material cost or labor costs may rise between the estimate and the project. • Unclear or incomplete plans and specifications: The absence of clear plans leaves much room for disagreement about what, exactly, was bid on. This can lead to change orders and extra costs for extra work. • Cost-plus bids: Unless you have a guaranteed maximum, the final cost is unknown, and often more than you estimated. • Job-site surprises: hidden conditions (insect damage or wood decay in remodeling, underground ledge or water problems, etc.) In some cases, these could and should have been detected by more diligent investigation. • Construction/design errors: If you build something wrong, have to tear it out and build it again, you may be able to get someone else to pay – the architect, a sub, a supplier – but most likely you’ll end up paying for it twice. • Owner changes: You, the owner, may decide to use better windows, roofing, flooring, etc., during the project; or decide to move walls, windows, etc., after installation. Jakarta, Indonesia – Despite the industry’s efforts and the emerging age of construction and industrialization in both developed and developing countries in the world, the issues and the challenges continue to rise and strive. Never will the industry or any other things, for that matter be without these challenges. There are some very serious challenges facing the construction industry that are motivating new approaches to how we design, build, operate, and maintain buildings and infrastructure. While these new technologies are designed to address challenges in the construction industry, I think that they are going to profoundly affect other sectors such as operations and maintenance, emergency planning, first response and urban planning. Axis Capital Group, a construction company based in Singapore and is distributing around South East Asia has listed some of the major hindrances a construction business should endure. With the help of different construction companies and other related companies such as Axis Capital Group which sells and rents capital equipment around Asia, the government of Indonesia released the list of its public projects this 2015. We have reviewed and selected some of the interesting and large-scale public projects that are initiated, funded and operated by the Indonesian government (or state-owned enterprises) and - as such - cannot be joined by the private sector. The Flyover Roads project in Jakarta, currently under construction, constitutes two additional non-toll roads on an altitude of ten meters above the existing roads that connect Blok M to Antasari in South Jakarta and Tanah Abang in Central Jakarta to Kampung Melayu in East Jakarta. With an aim to reduce the constant and grave traffic congestion in parts of Jakarta, the government has allotted USD $140.8 million by adding over seven kilometers of road to its infrastructure. Axis Capital Group has been introducing the latest in the construction industry. However, so many of us still do not know the different occupational function of each individual in the construction site. This time, we feature the Building Service Engineer. Building services engineers are responsible for the design, installation, operation and monitoring of the mechanical, electrical and public health systems required for the safe, comfortable and environmentally friendly operation of modern buildings. Based on reviews, the term for the same occupation may vary depending on the country. In United States of America, these individuals are called architectural engineers which have been adapted by different construction companies around the world. In Jakarta, Indonesia, Vietnam and Singapore, this occupation is called building engineering. Jakarta, Indonesia - Natural disasters happen everywhere in the world. Many cause property damage and loss of life. But researchers say the severity of their effects can be reduced if people take steps to prepare. Some natural disasters cannot be prevented. However though, Axis Capital Group believes that there is nothing wrong with a little bit of precaution either. Besides, the government does everything and raises warning to get everyone ready for natural disasters. Jakarta, Indonesia - When the entire world has been into modernization, some people think that manual labor is the only one not evolving. Well, think again. Even when the construction industry has been adamant to change, builders are now beginning to be dragged into the 21st century by the need to collaborate more closely with their more IT-savvy colleagues, the architects and engineers responsible for the ideas behind their work. Laptops are gradually making an appearance alongside the hard hats of the building site. is this just keeping with the evolving times or are there any other issues that drive the industry to modernization? One of the major factors for this change is that it is becoming increasingly difficult to maintain profit margins on building projects. Mindful of high-profile project delivery delays, many commercial or public sector clients have introduced financial penalty clauses in case deadlines are missed. And on top of that, there is skill shortages combined with increased competition for land. Singapore - More than 40 construction firms have joined a one-week “Safety Time Out” led by the National Crane Safety Taskforce. The movement was done as a show of concern towards the spate of workplace accidents related to crane activities since the beginning of this year. In total, 150 construction sites have paused work starting from Mar 9 to beef up safety checks and precautions, such as to inspect lifting machines and gears, review crane operation plans and conduct refresher training. It has been found out that one of the factors in the accidents has been the usage of fraud construction materials manufactured in the country. Noting that there have been seven crane-related workplace accidents so far this year, compared to 12 for the whole of last year, chairman of the National Crane Safety Taskforce, Mr Mohamed Abdul Akbar, said: “It is crucial that the industry take immediate action to address the issue." Singapore – Singapore has retained its position as the world's most expensive city, according to a research conducted by the Economist Intelligence Unit (EIU). The EIU's survey comprises 133 cities worldwide and uses New York as a base. It compares and reviews the cost of more than 160 services and products including food, clothing and utility bills. Singapore was found to be 11% more expensive than New York for basic groceries. Jakarta, Indonesia – With the fast pace of technology and industrialization sector in Asia, each country’s construction industry has also developed through time. Vietnam is not an exception. Axis Capital Group, a construction company based in Singapore and is delivering high-quality heavy equipment created an overview for the latest in Vietnam’s construction industry. According to Compound Annual Growth Rate (CAGR), the Vietnamese construction industry recorded a compound annual growth rate of 16.12% during the review period from 2009-2013. However, industry growth slowed from 19.7% in 2011 to 7.0% in 2013, due to a slump in the property market, a banking system characterized by non-performing loans (NPLs) and a sluggish real estate sector. Nevertheless, industry outlook is favorable, due to the government’s focus industrial and residential Construction. Expansion in the tourism and retail sectors, coupled with investments in infrastructure projects, will support industry growth. The industry’s output is therefore expected to record a nominal CAGR of 11.43% over the forecast period (2014−2018). Economic volatility and high inflation. The study further provides insights on the factors contributing to the failure of construction projects across the Vietnam construction sector. Construction spending in the country rose up to 6.8% annually, second to China in AECOM report 2014. Construction market has also been increasing to 50% in 2004 despite the conflicts and complaints that have been filed against construction sector in the country while its profitability is almost 80%. It is also suggested that along with Indonesia, It is suggested that Vietnam is expected to exhibit increasing market openness over the next 12 months. Jakarta, Indonesia – Axis Capital Group, a construction company based in Singapore has been delivering heavy equipment all throughout Asia and Europe. With the expansion of construction and the increasing growth of industrialization all over the world, the nation’s economy has been one of the factors that help each nation’s boom and development. Let us review how developing countries have been coping with the competition in the construction industry. According to Malaysian-German Chamber of Commerce 2010, between 2004 and 2006, Malaysia experienced a slow growth in its construction industry with average output value of RM50.9 billion. In 2007 the construction output value began to increase, up to RM 60.7 billion, and the industry recorded stronger growth in 2008 and 2009 rising to RM77.5 billion. The Central Bank of Malaysia in 2009 added that the strong growth of construction industry in 2007 to 2009 was mainly due to the implementation of construction related activities under the 9th Malaysia Plan and the high value of the fiscal stimulus package projects. Singapore - At the NTEA Work Truck Show in Indianapolis, Ford revealed its 2016 F-650 and F-750 medium-duty vocational trucks with a new engine and chassis. The new models will be available in spring 2015 and will be available in three cab styles and three models. You’ll be able to choose from a Regular Cab, SuperCab and Crew Cab in a straight frame, dock height or an all-new dedicated tractor model for heavy towing. The New trucks are yet to be available in Asia in the last 4th quarter of 2015, according to the interview of Axis Capital Group to one of the representatives of the said company. The look of the new trucks clearly continues the new styling established by the 2015 F-150 with grille “nostrils” as Ford calls them, saying they improve airflow and cooling performance. There are two basic contributing factors to any fire, a source of ignition and a source of fuel. Ignition can be a spark or a flame or just high heat, but in today’s complex heavy equipment there can be multiple sources. On heavy equipment overheated exhaust manifolds, seized bearings or locked brakes can generate enough heat to ignite many different sources of fuel. Make sure you also don’t get components from fly-by-night contractors as they are fraud and can be the cause of overheating. Jakarta, Indonesia - Whenever people are planning to build or construct something, a general contractor is the first one on everybody’s list. General contractors are the "big picture" thinkers. They work with you through the entire project, from the idea phase to the finished product. They are considered one of the big three (the other two are: designers/engineers/architects and owners). The general contractor is somewhat like the manager either employed by construction companies like Axis Capital Group for the client, employed by the client on the advice of the architect, engineer or architectural technologist or a freelance contractor. He is responsible for the overall coordination of a project. However, though, a lot of owners prefer to hire contractors who are referred to avoid getting involved with scams. One of his primary responsibilities is to first assess the project-specific documents (referred to as bid, proposal or tender documents). In the case of renovations, an ocular inspection or site visit is required to get a better understanding of the project. Depending on the project delivery method, the contractor will submit a fixed price proposal or bid, cost plus price or an estimate. The general contractor considers the cost of home office overhead, general conditions, materials and equipment as well as the cost of labor to provide the owner with a price for the project. Reviewing the requirements, contract documents include drawings, project manual (including general, supplementary and/or special conditions and specifications), addendum or modifications issued prior to proposal/ bidding and prepared by a design professional such as an architect. The general contractor may be the construction manager or construction manager at risk. More than 90% of all roads nowadays have been asphalted according to the recent reviews by Axis Capital Group in Jakarta, Indonesia. Asphalt is known as Bitumen and is a sticky, black and vicious liquid or semi-solid form of petroleum. In addition to being smooth, durable, safe, and quiet, asphalt is the most versatile pavement material. Pavement structures can be designed to handle any load, from passenger cars to heavy trucks. Surface mixes can be customized to absorb noise, to reduce splash and spray during rainstorms, and even to help treat rain water. Perpetual pavement main concept is for it to last, last and last in a very very very very long time, hence, the name. Perpetual Pavement combines the well-documented smoothness and safety advantages of asphalt with an advanced, multi-layer paving design process that with routine maintenance extends the useful life of a roadway. Perpetual pavement ranges from the thinnest and thickest asphalt. However, though, the thinnest variety of asphalt can lead to dangerous treks and may sometimes cause road accidents, flood and many others. Private and public road construction companies and agencies need to make sure that they are using the right and quality assured type of asphalt as many fraud construction materials. Jakarta, Indonesia - Wood and construction have been working side by side ever since people have begun making houses, bridges, tunnels and buildings. Lumber or timber is wood in any of its stages from felling through readiness for use as structural material for construction, or wood pulp for paper production. Lumber is supplied either rough or finished. Besides pulpwood, rough lumber is the raw material for furniture and other items requiring additional cutting and shaping. Forestry is the art and science of tree resources, including plantations and natural stands. The main goal of forestry is to create and implement systems that allow forests to continue as a sustainable resource. The challenge of forestry is to create systems that are socially accepted while sustaining the resource and any other resources that might be affected. Believe it or not, the original earth mover is the shovel. In Neolithic times and earlier a large animal's scapula (shoulder blade) was often used as a crude shovel. Manual shoveling (often in combination with picking) was the chief means of excavation in construction until mechanization via steam shovels and later hydraulic equipment (excavators such as backhoes and loaders) gradually replaced most manual shoveling. The same is also true of the history of mining and quarrying and of bulk materials handling in industries such as steelmaking and stevedoring. Railroad cars and cargo holds containing ore, coal, gravel, sand, or grains were often loaded and unloaded this way. Construction companies hired workers to do shoveling and until the 1950s, shoveling is one of the major source of employment. Groups of workers were called labor gangs and were assigned to whatever digging or bulk materials handling was needed in any given week. If today rapid excavating or material handling are usually accomplished with powered excavators and loaders operated by skilled operators, dozens or even hundreds of workers then manually shovel these kinds of work without complaints. Dump trucks are mostly used for transporting loose materials such as sand, dirt and gravel for construction. Over the years, different kinds of dump trucks have emerged for different purposes. 1. Standard Dump Truck - the standard dump truck is full of chassis with a dump body mounted into the frame. The dump body is raised by a hydraulic ram lift that is mounted forward of the front bulkhead, normally between the truck cab and the dump body. 2. Transfer dump truck - For the amount of noise made when transferring, the transfer dump truck is easy to recognize. It’s a standard dump truck that pulls a separate trailer which can be loaded with sand, asphalt, gravel, dirt, etc. The B box or aggregate container on the trailer is powered by an electric motor and rides on wheels and rolls off of the trailer and into the main dump box. 3. Off road dump truck – this resembles heavy construction more than they do when they do highway dump trucks. They are used strictly for off road mining and heavy dirt hauling jobs, such as excavation work. They are very big in size, and perfect for those time when you need to dig out roads and need something to haul the massive amounts of dirt to another location. In the simplest terms a “B-Train” consists of two trailers linked together by a fifth wheel, and is up to 26 m (85 ft) long. The fifth wheel coupling is located at the rear of the lead, or first trailer and is mounted on a “tail” section commonly located immediately above the lead trailer axles. Jakarta, Indonesia - Marine Construction utilized floating vessels in a daily basis. Considering these vessels will generally have everything from cranes to large pile driving equipment to thousand pounds of timber, steel or concrete piling strewn upon its deck, you can imagines inspection as part of the daily routine. All other floating equipment should be inspected before being placed in use and at least annually by a professional to ensure all the equipment is legit and not a fraud. It is not the first time that Axis Capital Group, a construction company based in Singapore and is constantly expanding its business to Jakarta, Indonesia and to the rest of Asia, has talked and worte a review about green infrastructure and its slow predominance in the infrastructure industry. The term “Green Infrastructure” has been used in all over the world to define the projects that have aim to preserve land conservation and natural beauty despite the emersion of buildings and other modern construction. These infrastructures are considered eco-friendly. For more information about our site, you may visit this site https://www.youtube.com/watch?v=Hl3jOKNLNgg and visit our website. Incoming trends and perceptions always intrigue us as New Year comes. Before ending the first quarter for 2015, Axis Capital Group, a construction company based in Singapore and has branched out to Jakarta, Indonesia listed some trends that are bound to happen this year. Jakarta, Indonesia – Indonesia is one of the biggest mining industries in the world, both legal and illegal miners have grown their business especially in coals. The country placed 4th in the top 10 coal producers in 2013. The Indonesian coal industry is rather fragmented with only a few big producers and many small players that own coal mines and coal mine concessions (mainly in Sumatra and Kalimantan). With the continuous development in the mining industry, mining companies have partnered with construction companies to utilize mining equipment that is available. This earthmoving and mining equipment section lists equipment that has been designed primarily to move earth and minerals in large earthmoving and mining projects. Some of this equipment finds it place in other applications, however, and the use of bulldozers and articulated trucks on road and highway projects are just a couple of examples. One area of surface mining includes giant machines such as drills, electric shovels and giant draglines, some of which have buckets that are capable of moving 160 cubic yards of material in one scoop. Although somewhat smaller than the electric shovel or especially the giant dragline, the mass excavator also fits here, which is basically a large version of the excavator that is used more for mass excavation than for more limited exaction or trenching. Underground mining equipment is aimed at moving material in a very headroom and space environment. You will notice similarities with some of the surface mining equipment as well as some very specialized pieces developed specifically for the underground mining application. All of this equipment is used with extra warning and precaution. Singapore – While our Indonesian counterpart gets busy in joining different exhibits and showcases our construction equipment, learns added knowledge to enhance our service and customer support and knows the latest in the industry, Axis Capital Group Singapore continues its advocacies for a greener and healthier modern advancement in the construction industry. Build Eco Xpo (BEX) Asia is the global business sourcing, networking and knowledge-sharing platform for the sustainable built environment in Southeast Asia. The event which will be held on September 2 – 4, 2015, draws together international brands of green building technologies and advancements, to the heart of the region’s community of architects, building owners, contractors, consultants, developers and energy managers. The unique mix of green building product showcase is specially brought together to the halls of the 3-day event for skilled professionals, that possess the primary objectives of identifying suitable green technologies for existing and upcoming projects, building connections with likeminded specifiers and buyers, learning from industry experts on effective best practices and forming business partnerships for forthcoming transactions, in the sustainable build trade. Fraud is not encouraged to join as optimism in delivering a greener world is a serious business for these industries’ advocates. Axis Capital Group gets its plate full this year with heaps of events to attend to. Before attending in the Concrete Show South East Asia which will be held on the last week of October, Axis will first attend the 17th International Mining and Mineral Recovery exhibition and Conference on the 9th – 17th of September, 2015 at Kamayoran in Jakarta, Indonesia. Ever since the event’s launched in 1998, International Mining Expo has been the only trade event that has all the major suppliers and potential customers in one venue. This show has become the key platform for established companies to promote products and equipment in the mining industry. Last year, the exhibition highlighted the huge opportunities that exist in the mining sector in Indonesia. The show comprises two specific trade exhibitions: Mining and Construction Indonesia which has combined total of 26,000 attendees. With 19, 737 industry professionals, 787 exhibitors, 43 countries, 3 international group pavilion participants and 33, 428 sqm. of space, it is truly an affair to look forward to. Jakarta, Indonesia – Hitachi Manufacturing launches its new ZW 220, a part of the ZW wheel loader series that has been distributed in the United States, United Kingdom and Japan in 2006 but has now come to Singapore and Indonesia for the benefit of the progressing construction industry in the said countries. Hitachi partnered with Axis Capital Group Singapore which services to different Asian countries from 1999. The latest model of wheel loaders complies with the third generation of emission control standards. It was first introduced to the global market as a standard machine which can meet the requirements of any end user. Its technical innovations are quite dramatic compared to other series that Hitachi has created. The makers began to develop and design the ZW range by assessing the demands of people worldwide. Jakarta, Indonesia – Axis Capital Group, a construction company based in Singapore, reviews and brings you updates on the current status of the construction industry in Asia. China’s main interest in construction basically started when the government has searched for minerals in sub-Saharan Africa which requires building railways from mines and ports. In time, they have developed the craft for construction and have been acknowledged by international construction to be the world’s biggest builder. China’s construction is commended for finishing projects on time. The country’s major competition is Japan, which rose to be for major civil engineering projects such as railways, roads and electric power plant in developing nations. Meanwhile, China announced that same month the launch of the Asian Infrastructure Investment Bank by the end of 2015, involving 20 Southeast Asian and Middle Eastern countries. Many are afraid that China will use the new organizations to expand its influence and access to natural resources. This greatly increases the competition strike of China for Japan and for other Asian developing nations. 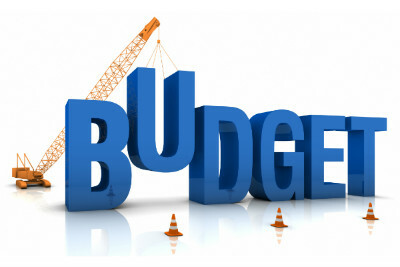 The parts of Budget 2015 relevant to the construction sector bode well for it in the long term, as they herald a continued focus on infrastructure development and a raising of skills sets, say industry observers and players. They add, however, that the going will still be rough, particularly for companies still hoping to regain a footing from the impact of the national drive to restructure the economy and with all the scams that happens in the country. Jakarta, Indonesia – The government of Indonesia plans to inject RP 73.08 trillion for 42 state-owned enterprises (BUMNs or Badan Usaha Milik Negara), just above the RP 72.9 trillion budget last year. Governor Basuki “Ahok” Tjahaja Purnama said during a speech that the city administration hoped to perform better in 2015 than it did last budget year, which percentage-wise saw the lowest in spending and revenue. Only 59% of the 2014 allocated budget was spent last year, causing the slight increase. The budget was far from the RP 82 trillion which Ahok had predicted. This was discussed on a business meeting between the government and Commission XI of the House of Representatives in Jakarta on January 28. In the 2015 State Budget (APBN), the capital injection to BUMNs was budgeted at Rp 5.1 trillion for four state-owned companies. In the 2015 RAPBN-P, the allocation has been increased to Rp 72.9 trillion for 42 BUMNs. The objective is to enable business entities, which represent an arm of the government to realize the vision and mission of the president in building infrastructure. However, many construction companies have complaints if these goals are all materialized. Kadin Jakarta chairman Eddy Kuntadi said during a discussion on Jakarta’s economic outlook recently that it was important for the city administration to optimize budget spending, especially when related to infrastructure projects. He stated that it would be better to optimize the budget. The positive economic growth of exporting countries will have a good effect on export activities provided that the budget be put into the right cause and not on scams made by corrupt officials. Better transportation infrastructure also minimizes cost in the long run. Jakarta, Indonesia - Being an archipelago, Indonesia is prone to floods and water problems. Its capital, Jakarta, lies in a low flat basin, averaging 7 meters (23 ft.) above sea level. It is a delta of 13 rivers with 40% of its land below sea level, which makes it very vulnerable to flooding. Besides flood from the rivers, Jakarta is also sinking about 5 to 10 centimeters each year and up to 20 centimeters in northern Jakarta mainland. There is enough water that runs in the city’s system. However, there are also a lot of people who are risking their lives in search for clean water. Sanitation and a clean bill of health are also considered one of the major issues that affect Indonesian people. With 14,000 people per square meter, Jakarta is one of the most densely populated cities in the world. There are two types of urban infrastructure. One could be considered as ‘hard’ infrastructure like roads, bridges, ports, rail, tunnels, airports and public buildings. The hard infrastructure can be considered as passive where the end users effectively ‘self-serve’ when required. The other is the ‘soft’ infrastructure such as water, sanitation, electricity, solid waste collection, telephone, and communication and information systems. The soft urban infrastructure is more active and need to be operated by someone to deliver the service. The assets (pipes, cables, wires, masts etc) associated with the soft urban infrastructure are largely silent and usually invisible to direct view until something goes wrong. Jakarta, Indonesia - Traffic congestion in main cities around Asia has long been an issue since anyone can remember. According to many surveys like Economist Intelligence Unit (EIU), Jakarta, Indonesia has received the status of the city with the worst traffic in the world. The city was reviewed to have the highest number of stops and starts with an average of 33, 240 per drive per year. The most complaints of annoying causes of traffic jams in the country include people taking shelter at underpass during heavy rains which clogs the main roads for vehicles and motorist. Also, the streets are filled with vendors which steal the way where pedestrians should be walking on. Hence, people have no choice but to walk on roads that should be for vehicles. There are also street violators around the city: parking under the “no parking” sign and driving on pedestrian lanes. The country’s population is also pointed out as one of the main reasons of traffic congestion in the city. In 2050, the city is predicted to be the largest among other cities in Asia. The current population of Greater Jakarta is 30 million, making it one of the world’s largest urban clusters, and it is estimated to grow to 50 million over the next few decades. Although other sectors of the infrastructure industry have boomed in the past years, traffic remains to be one of the main issues which have not been resolved despite the continuous effort by the government and private companies. Jakarta's traffic congestion is estimated to cost the economy US$1.2 billion per year even before counting health costs. Furthermore, the city has insufficient land area to build roads – 8 percent compared to the 15 percent it needs. The government incessantly gives out warnings that if this continues to happen, the goal of developing the nation in character and appearance may seem impossible to reach. Dr. J. Scott Younger, director of infrastructure firm PT Nusantara Infrastructure, a major private infrastructure player in Indonesia states that the solution, he says, is to develop alternatives such as light rail and monorail, and to make arterial improvements such as urban toll roads and selective bus corridors. In the wider Java region, there is an even greater need to extend the road network, which may be up to half a million kilometres short of the roads needed to serve the population. With the new budget for infrastructures on the way, it is expected that this issue will slowly lift this year. Also, the public has somehow depended on the events that the country will host this year. Construction event organizers such as the Concrete Show South East Asia are planning to hold an international expo this coming October 28-30, 2015 to discuss the possibilities of infrastructure advancement not only in the country but all over South East Asia. Construction companies such as Axis Capital Group along with project managers and engineers from all over the world are expected to participate in the upcoming event. Axis Capital Group a construction company based in Singapore which branched out to Jakarta, Indonesia, shares some tips on how to construct a hassle-free construction. This, of course, should be obvious enough. You do not want to be tagged as illegal settlers if you just claim some spot for your own and build a house. This is one of the first things to be considered in constructing your house. You should investigate the strength of the land, soil condition, drainage, zoning and building cost in that region. You should also check your future neighbors to make sure you don’t get involved with drug businesses around the community. Although you also have a flair for home constructions and stuff, you should also ask advices from experts. A designer or a contractor can explain further the legalities of the deal. It would surely help if you a lot if you don’t stumble to any laws being broken during the course of your construction. A good referral from friends and family can help you identify which one to be trusted. Make sure to make a contract about his specific tasks and salaries though to keep yourself from being scammed later on. Now that all the potential and ideas are already in place, prepare an initial plan with the help of your newly hired contractor. Discuss the floor plan with your family and friends if required. You should include the size and location of structures on property, including distances to lot lines, streets, roads, and property lines in your plot plan. In your floor plan, on the other hand, include all room uses and sizes, door and window sizes and locations. You should be specific on your plans and should include such things as plumbing or electricity plans. A regaining economic system, like that of Jakarta, Indonesia implies you may begin getting on new operators then attaining more work. However, with fresh workers comes a learning curve that may damagingly have an effect on your uptime and efficiency. Considering there could be frauds out there as well. Consider these easy viewpoints of Axis Capital Group, Singapore into a factor for operator training that can make your fresh hired employees functioning like professionals in no time. These uncomplicated measures can support improved productivity in addition to lessening interruption despite having new employees and will can help you expand your limits. Educate new operators on Walkaround reviews. Walkaround inspections are intended to show a range of minor concerns that could be repaired before they become bigger and more expensive grievances. And above, they assist acquaint new operators with your machine as well as work tools before they can operate. If you are worried about time, regulated worksheets or inspection apps help accelerate the procedure. Inspire every operator to study the manual. At the same time as the notion of reading the instructions will probably cause a lot of operators to laugh, the truth is equipment manuals incorporate very important info regarding regular maintenance, operating systems, safety and security. It will be good to devote time reading it instead of wasting time dealing with troubles in the future.